W712/75 MANN HUMMEL OIL FILTER (Astra G 10/2000>>) NEW O.E SPEC! WFR Van 4X4 2.0 Diesel with 4FC1 engine 1984 on. WFR Van 4X4 2.0 Turbo Diesel with 4FC1(T) engine 1984 on. WFR Van 4X4 2.2 Diesel with 4FD1 engine 1984 on. Fargo 1800D, 2000D, 2200 D 1981 on. Midi 2.0 Diesel with Isuzu 4FC1 engine 1985 on. BEDFORD KM ( 381 / 446 CU IN ) BEFORE 1969. 1 x GENUINE AC DELCO AIR FILTER. Air Filter Hillman Minx, Vauxhall Firenza Victor Viva Magnum, Bedford Blitz CF. See screenshots for exact models covered by this filter. My ref A4. Midi 2.2 D 1988-1993. Midi 2.2 TD 1988-1993. Here we have an air filter to fit the following 2.0 TD 01.1989 - 08.1992, 1995 cc. 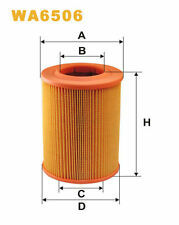 COOPERS AIR FILTER TO FIT SUZUKI SAMURAI & BEDFORD RASCAL, PART NUMBERS AG1283 AZA431. MON TO sat : 8.00am TO 6.00PM. Ascona A 1.6 N 44/ 50Kw (60, 68HP) 1584cc Eng,-16N 10/70- 08/75. Ascona A 1.6 S 55/ 59Kw (75, 80HP) 1584cc Eng,-16S 10/70- 08/75. Ascona A 1.9 SR 65/ 66Kw (88, 90HP) 1897cc Eng,-19S 10/70- 08/75. VAUXHALL / BEDFORD. Midi 2.0 / 2.2D / 2.4TD 1988 to 1994. Albany 2.0 1990 to 1994. Air Filter. Tube filter. Part no: Unipart GFE2010. Vauxhall (1975-1995) Bedford (1984-1991). VAUXHALL ASTRA Hatchback 1979 - 1986. VAUXHALL ASTRA Estate 1979 - 1986. VAUXHALL ASTRA Mk II Hatchback 1984 - 1991. VAUXHALL ASTRA Mk II Estate 1984 - 1991. VAUXHALL MIDI 2.0 TD 1995 50 4 Bus 1984-1988. VAUXHALL MIDI Mk II 2.0 TD 1995 51 4 Bus 1988-1996. VAUXHALL MIDI Mk II 2.2 D 2189 45 4 Bus 1990-2014. VAUXHALL MIDI Mk II 2.2 D All-wheel Drive 2189 45 4 Bus 1990-1994. C1699 MANN HUMMEL AIR FILTER (Isuzu. Vauxhall/Bedford LCV) NEW O.E SPEC! (Vauxhall/Bedford LCV) NEW O.E SPEC! Manufacturer Part Number: C1699. Application: Isuzu. Vauxhall/Bedford LCV. Part Type: AIR FILTER. When an item is Faulty. Gaghills Mill. 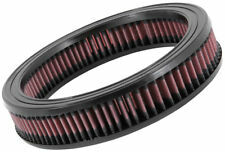 Whybee Ltd.
C2262 MANN HUMMEL AIR FILTER (Isuzu,Toyota,Vaux/Bedford LCV) NEW O.E SPEC! Manufacturer Part Number: C2262. Application: Isuzu,Toyota,Vaux/Bedford LCV. Part Type: AIR FILTER. When an item is Faulty. Gaghills Mill. Whybee Ltd. We want you to be totally satisfied with your order, so if for any reason it’s not suitable we are here to help. 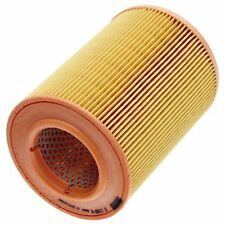 C1530 MANN HUMMEL AIR FILTER (Bedford, Ford, Rover, Vauxhall) NEW O.E SPEC! Manufacturer Part Number: C1530. Application: Bedford, Ford, Rover, Vauxhall. Part Type: AIR FILTER. When an item is Faulty. Gaghills Mill. Whybee Ltd. We want you to be totally satisfied with your order, so if for any reason it’s not suitable we are here to help. 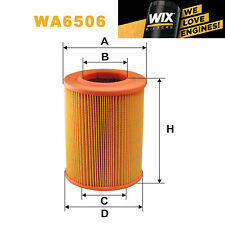 5 out of 5 stars - C1530 MANN HUMMEL AIR FILTER (Bedford, Ford, Rover, Vauxhall) NEW O.E SPEC! 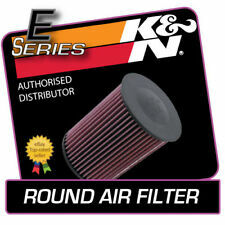 1 product rating1 product ratings - C1530 MANN HUMMEL AIR FILTER (Bedford, Ford, Rover, Vauxhall) NEW O.E SPEC! C3167/1 MANN HUMMEL AIR FILTER (Vauxhall,Opel,Bedford) NEW O.E SPEC! Application: Vauxhall,Opel,Bedford. Part Type: AIR FILTER. Manufacturer Part Number: C3167/1. When an item is Faulty. Gaghills Mill. Whybee Ltd. We want you to be totally satisfied with your order, so if for any reason it’s not suitable we are here to help. Part No: Unipart GFE1086, AC Delco A1447or Coopers AG461. Vauxhall, Bedford (1974-1982). New Air Filter. Changed your mind?. Frienza up to 1971. VAN DIESEL. ENGINE OIL FILTER. VAUXHALL CF 2.3 Air Filter 80 to 83 23L Fram. Automotive oil filters of various types had been on the market for nearly ten years, yet were difficult to install, change and clean. Function Air Filter. Vauxhall Viva Victor 101 standard & super Bedford 6 & 8 cwt. Beagle AC Delco PA 1. Box is tatty! Please check the part number to make sure it is the correct part for your vehicle. New Old Stock. FREE UK POSTAGE. BEDFORD / VAUXHALL. COOPERS FIAAM AIR FILTER. Exterior : 155 mm. Interior : 88 mm. (Other No. Height : 198 mm. ). 2000CC PETROL. 1969 -FEBRUARY1972. NOT FOR VEHICLES AFTER FEBRUARY 1972. AIR FILTER. 1800CC PETROL. BEDFORD CF. 1976 - AUG 1984. BEDFORD CF. NEW AIR FILTER. 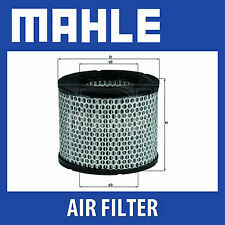 MAHLE Air Filter LX224. Clean air intake is one of the most important conditions for optimal engine power, high torque, low fuel consumption and minimized pollutant emissions. Their quality filters prevent premature wear of valves, cylinder working surfaces, piston rings, bearings and other engine components. VAUXHALL MIDI. BEDFORD MIDI. ISUZU MIDI. Manufacturer Part Number: WK815x. Application: Bedford Midi. Part Type: FUEL FILTER. Warranty: 1 YEAR. We want you to be totally satisfied with your order, so if for any reason it’s not suitable we are here to help. W921/80 MANN HUMMEL OIL FILTER (Bedford Brava 2.2D) NEW O.E SPEC! Application: Bedford Brava 2.2D. Part Type: OIL FILTER. When an item is Faulty. Gaghills Mill. Whybee Ltd. We want you to be totally satisfied with your order, so if for any reason it’s not suitable we are here to help. Minx Special 1960 - 64. Firenza 1.3 1972 - 73. Firenza 1.8 1972 - 73. It is a by PowerTrain part number PMFA 281. Victor 1.6 Chassis 8V172825 - 1976. Magnum 1.8 to 1976. Capri 1.3 OHV mkI GT 1968 - 71. Ac Delco Bedford Bliz Rekord Lagonda Triumph Air Filter LX224 / PC113. Box has damage but filter is fine. Any questions please ask. Location shelf 2. This enables an optimum composition of the fuel-air ratio and ensures that the engine performance is consistent. Here is another hallmark of MANN-FILTER air filters: the high dust holding capacity ensures reliability throughout the entire service interval.